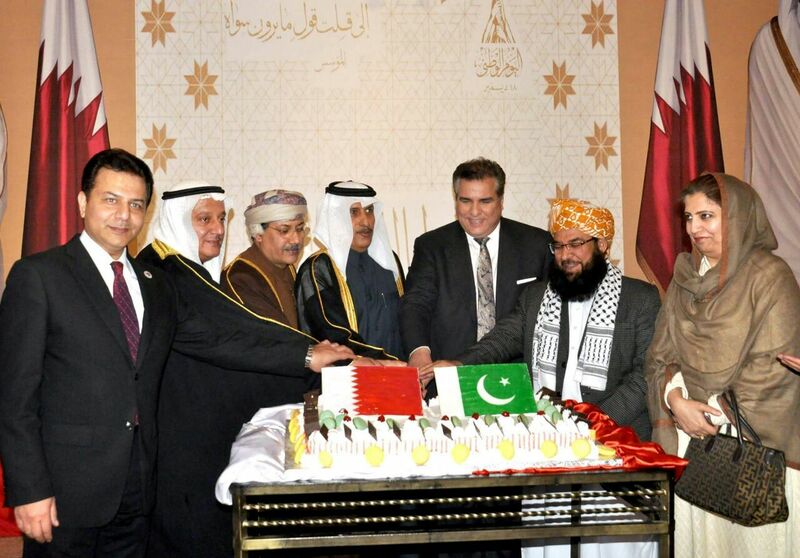 ISLAMABAD: Federal Minister Daniyal Aziz has said that Qatar and Pakistan share strategic, religious, traditional and brotherly relations which would be cemented even more in the near future. Addressing the participants of a reception held here at Serena Hotel to mark the national day of Qatar, the minister said that Pakistanis convey their warm wishes and greetings to their brothers in Qatar on their national day. Aziz said that 180,000 Pakistanis were working in Qatar in the fields of energy, science, higher education, as well as, others sectors, which was playing a role in the development and strengthening of Qatar. “We continue to promote bilateral ties for furthering these brotherly relations,” he added. Qatar Ambassador to the Islamic Republic of Pakistan, Saqr Bin Mubarak Al Mansoori said that Pakistan and Qatar were two brotherly countries and that the friendly relations between the two states would be promoted in the future. Lauding the services of Pakistani expats working for the development of Qatar, the ambassador said that the government and people of Qatar acknowledged the key role being played by Pakistanis through hard work, commitment and dedication. A cake was cut to mark the celebrations of the national day. People from all walks of life including diplomats, politicians, civil and military bureaucrats attended the occasion.